Lucky Field Organics is located in Rochester, MA. Eileen and Weston Lant started Lucky Field Organics in 2003 on one acre of land. They now cultivate 12 acres and harvest a wide variety of organic vegetables, herbs, and flowers. 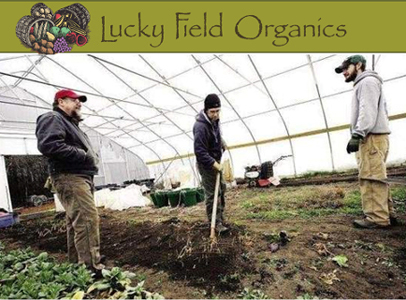 Boston Organics expanded it's network of local growers in 2014 to include Lucky Field Organics, bringing our customers even more variety during the local growing season (June - October).